Een huis genaamd Alice ligt in het idyllische dorpje Mandria ligt binnen handbereik van de afgelegen Cyprus stranden en 10 minuten van de luchthaven van Paphos. Het pand is ook 5 minuten afstand van twee van de internationale golfbanen in Cyprus en 15 minuten van de historische havenstad Paphos. Als u niet een golf fan of een golf weduwe, dan zul je genieten van de prachtige winkels in Paphos en de vele water en andere sporten. Het huis is een nieuw gebouwde twee slaapkamers herenhuis waarvan 6 slaapt en is ingericht naar een zeer hoge standaard. De begane grond bestaat uit een grote open woonkamer en eetkamer met keuken en garderobe. De grote openslaande deuren naar de tuin en de marmeren trap in de aanloop naar de eerste verdieping. U kunt ontspannen in de woonkamer met twee comfortabele banken, waarvan er een een slaapbank heeft. Er is een satelliet-tv, dvd en cd-radio-systeem. De kleine kinderen (of volwassen kinderen) kunnen genieten van de play station of settelen om te lezen of spelletjes doen. De begane grond heeft ook airconditioning. Aan de achterzijde van het pand is een harde ondergrond voor uw huurauto met een deur die leidt naar de woning. Het complex beschikt over een aantrekkelijk zwembad en het plaatselijke strand is een korte wandeling. Het heeft ook een busdienst, maar om rond Cyprus is zo makkelijk een huurauto is sterk aanbevolen. De badkamer is volledig betegeld met toilet, wastafel, bad en douche. Clean, affordable and great location! The owners were very helpful and were easy to get hold of via email if I had any questions or problems. The apartment was clean with lots of room in the rooms as well as storage space for clothes and other luggage. The road was quiet, no loud parties or cars driving past. On arrival we received a lovely welcome gift of tea, eggs, bread and some wine! The apartment comfortably fits 4 people and sofa beds downstairs to sleep 6. I visit Cyprus often and would recommend this if you are looking for a home away from home while on holiday. I booked this accomodation for my dad, son and son's girlfriend to stay there as a large group of friends and family had travelled out to Mandria this summer for my wedding. The apartment was spotlessly clean, well equipped and was perfect for what they needed. 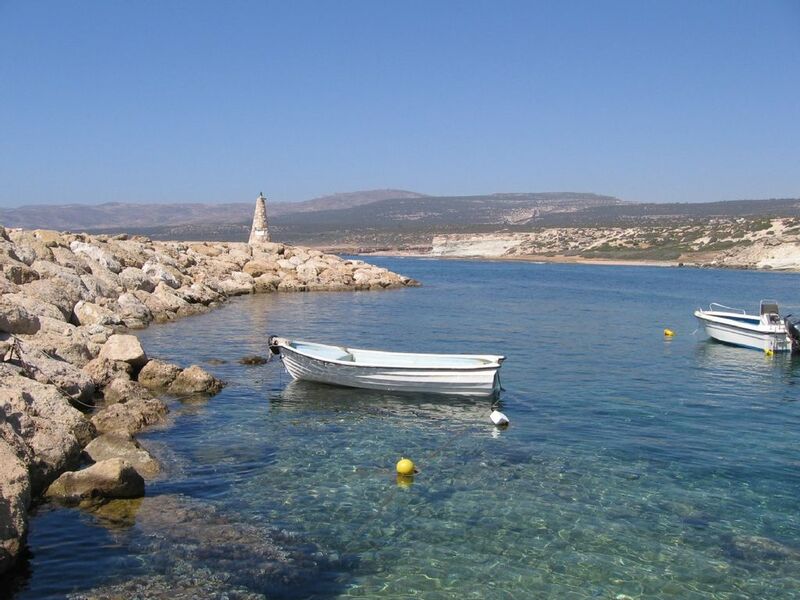 It is close to the village centre and a short 10 - 15 minute away from Mandria beach and beach bar. Would highly recommend for anyone stopping in Mandria. Thank you for your very kind review, so pleased your family enjoyed their stay at A House Called Alice. We booked a week's stay at Shirley and Barry's property in Mandria during March and were highly pleased that we did. The booking process was smooth and efficient, all information regarding the property, how to get there etc was detailed and accurate. I had a question of my own that I emailed to the owner prior to the visit, this was answered promptly and effectively. The house was delightful. All fixtures and fittings were of high quality, everywhere was spotlessly clean, we were most comfortable. There were only the two of us, but the property was certainly large enough for a family group. As the weather was sunny and warm we were able to spend time in the garden area relaxing and eating our meals. The various walks around the local coastline kept us busy for much of the time but we did travel further afield for sightseeing. The local bars and restaurants were well worth a visit at the end of the day. We would both be happy to return to Mandria and this property in the future. Thank you for your kind review, so pleased that you enjoyed your stay at A House Called Alice. You are welcome back any time. The house is similar to many other holiday houses along the southern coast of Cyprus: two levels, large kitchen/living area, staircase, two bedrooms and bathroom upstairs. There is plenty of space and it is well-furnished and equipped (one feels that the owners use the house themselves). The large kitchen is very practical and allows also more complex cooking, which is not the norm for holiday houses. Bed is comfortable. There are even dishwasher, washing mashine and heaters for the few cold weeks of the year; as well as plenty options of entertainment (books, DVDs, even a Playstation - which I did not try though). Also, access was very simple, instructions given some weeks before were accurate and easy to understand. - the standard of cleanliness was below expectations. It can happen that there is some dust on a surface, or the microwave gets forgotten. But here it seemed that only the floors and the counter of the kitchen had been cleaned. The rest was not horrible or unusable, just lacking proper attention while cleaning (coriander rests in the fridge, hair in the shower, sticky jars etc...). Also, of the 9 available pans/pots, 7 were unusable with the coating peeling off. - the view from the balcony is, well, onto a deserted development area. The neighborhood is one of those typical holiday house colonies, even if some of the houses seem to be inhabited by locals. - the beach nearby (around 1 km), for those interested in this feature, is nice. But when I went for a peaceful sunset, I was surrounded by weird tourists (or expats?) taking a drink in an improvised beach bar with techno music. The youth of the village drove up and down the gravel road with their jeeps. So exactly the opposite of peaceful. Overall: mixed experience. Would repeat, if I don't plan to stay much at home during the day. Good price for a well equipped house. Modestly attractive surroundings and overall cleanliness are somewhat negative points. The property is spacious and was immaculately clean. W will be going back. Well appointed in general everything you need is catered for. Charming property set in a village location with a distant sea view. Only negative points were the lack of aircon in the second bedroom, and a few maintenance issues some we reported and were quickly fixed others were left to be fixed ready for the next letting. Private parking is at the rear of the property. There is a small front garden with table and chairs. The well maintained pool is yards away and only 1.5 m deep with a shallow area and paddling pool. The pool has showers and WC , you will have to take sunbed with you though , there is one bed and two relaxes provided by the owners. Excellent food at all the local restaurants which is a 10 min walk away. The local beach is in walkable distance and has an excellent beach bar and food van both good and reasonable prices there is a lifeguard on duty , sunbeds and parasol are free for bar users. Paphos is slechts een klein eindje rijden met zijn historische haven met middeleeuwse fort, goede winkels, bars, restaurants en een uitzonderlijke nachtleven. Paphos heeft ook een geweldige open markt waar u kunt een paar uur. Als u in de archeologie bezoek de Tombe van de Koningen, met zijn indrukwekkende onder de grond graven. Ook in de buurt van de haven is een mozaïek site die vloeren bevatten uit de Romeinse tijd. Andere activiteiten in Paphos zijn gaan karten, paardrijden, duiken, bowlen, boottochten en nog veel meer. Er zijn twee uitstekende golfbanen binnen 10 minuten van het pand zijn Secret Valley en Aphrodite Hills, beide zijn geopend voor het publiek, maar als je niet golfen ze zijn zeker een bezoek waard voor een drankje of maaltijd waard als het landschap is absoluut prachtig en het eten is uitstekend. Er zijn zo veel interessante plaatsen om te bezoeken. Neem een ​​ontspannen rit naar Troodos waar je veel kleine dorpjes, wijngaarden en een hoast van boerengemeenschappen zal passeren.